In continuation with my Bali Travel series (Read Part 1 of the same series on Bali Theatre), I thought I should now talk about the various ‘day-trips’ to Bali. While we explored quite a few options, the one we enjoyed the most was the Kintamani Volcanos/Ubud art village trip. 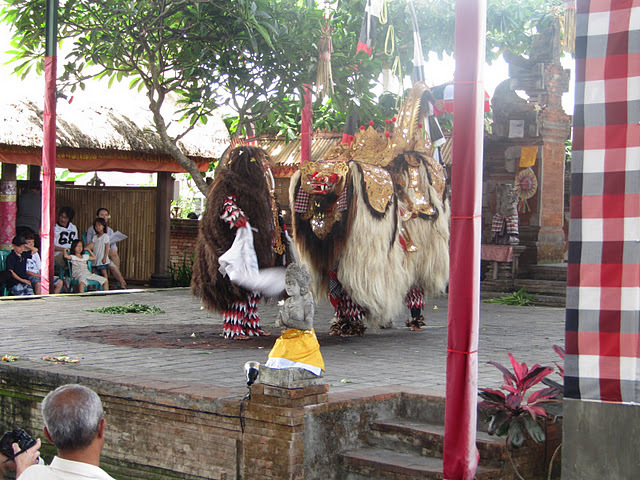 We started off form our hotel in Sanur early in the morning and started with the Barong Dance – a dance-drama depiction of Good Vs. Evil in traditional Balinese style. A ‘typical’ Kintamani tour – that countless tour operators, travel agencts and independent drivers will trying selling to you – will start with the Barong Dance which happens once a day at about 9 AM in the morning. Both Shruti and I agreed it was pretty average and could have easily been given a miss. The good part is that apart from the Barong Dance, the rest of the day/tour totally rocks! We headed to Ubud art village which falls on the way to the Kintamani Volcanos. Ubud, as the name indicates, contains a set of small micro-villages in areas adjacent to each other. Each of these ‘micro-villages’ (and this is my terminology) has small houses where a set of artisans live and work on their respective craft. For instance, there are separate areas for carpenetery, silver-smith and gold-smith, traditional Balinese painting, egg-painting, local textile, woodwork – and the craftsmanship is rich, intense and more often than not, onen is tempted to buy ‘stuff you can display at home.’ We purchased this soothing painting of Buddha and some hand-made cane lamps fr our living room. 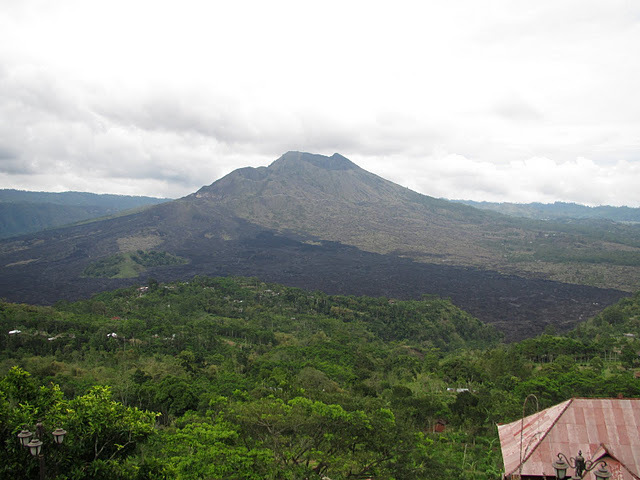 It was almost time for lunch by the time we reached what we were most eagerly waiting for – the active Kintamani Volcano. The place offers excellent views and around the volcano one can see charred grasslands, around the volcanic opening. We were not fortunate enough to see Lava flowing out (or maybe we were fortunate to not experience that bit! ;)), but the icing on the cake was the realization that Bali, depite being such a tiny island, has everything – from gorgeous beaches to hills, coffee plantations, rice-fields and if that weren’t enough – an active Volcano! would have loved to see more pics! Previous Previous post: How is Ms. J.Jayalalithaa different from Mr. Giorgio Armani? Next Next post: Krishan VS Kanhaiya: Classic Paresh Rawal!